Well read on to find out exactly when, who and what the Swans did on 21st February! 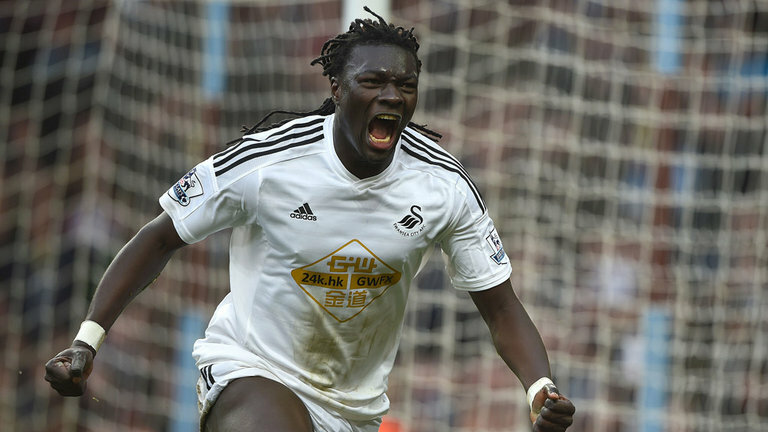 Goals from Ki Sung-yueng and Bafetimbi Gomis gave the Swans a 2-1 win over Manchester United in front of a 20,809 crowd at the Liberty Stadium in the Premier League. The result was all the more significant as it was only United’s 2nd defeat since November, plus it was the first time the Swans had achieved a league double over the Red Devils – having won by the same scoreline at Old Trafford on the opening day of the Premier League season. Garry Monk’s team remained in 9th place in the table as referee Neil Swarbrick oversaw proceedings. A Liberty stadium crowd of 16,161 watched the Swans beat Doncaster Rovers 3-1 in the Coca-Cola Football League Championship. A Jason Scotland penalty and Jordi Gomez brace gave Roberto Martinez’s men all 3 points as they moved up to 8th position in the table. The Swans play-off hopes suffered a blow as they lost 2 nil at Kidderminster Harriers in Nationwide League Division Three. The result meant that caretaker boss Alan Curtis saw his side drop to 11th place in the table in front of the 3,407 crowd at Aggborough. Alan Cork’s men grabbed a useful point in a 2-2 draw at Leyton Orient in Nationwide League Division Three. The 21st placed Swans were thankful to goals from Jonathan Coates and Dave O’Gorman in either half to give them a share of the spoils, on an afternoon when Orient fans paid a moving tribute before the game to the late Robbie James. A 14th minute goal from Steve Torpey was enough to earn the Swans a 1 nil win at Stockport County in Endsleigh Insurance League Division Two. Manager Frank Burrows handed a debut to 19 year old Welsh defender Christian Edwards, in this battle between the two mid-table sides at Edgeley Park. 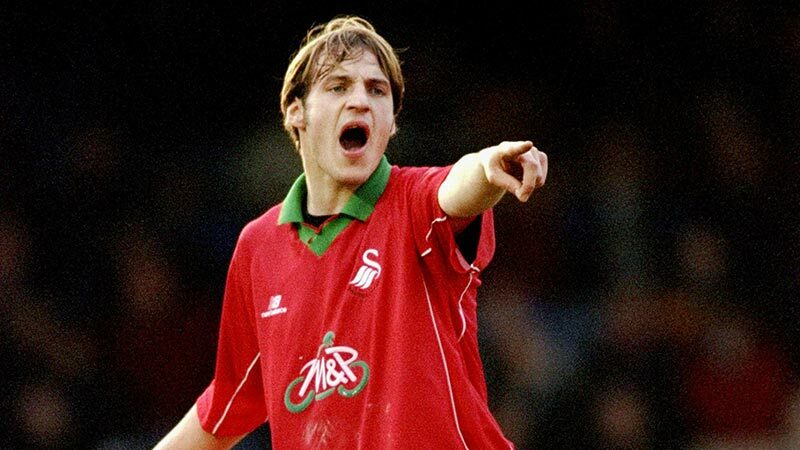 The Swans drew 1-1 with Crewe Alexandra at the Vetch Field in Today League Division Four. Despite a Sean McCarthy penalty giving the Swans a half-time lead, manager of the month Terry Yorath would have to settle for a point, as lowly Crewe grabbed an equaliser to frustrate the 5,050 crowd. The 4th placed Swans handed a debut to Celtic loanee Steve Kean. The Swans beat Barry Town 2-1 after extra time in a Welsh Cup 5th Round Replay at the Vetch Field. A 3,129 crowd saw John Toshack’s team struggle to cope with their physical Welsh League opponents and were grateful to goals from Dean Saunders and an extra-time winner from Toshack himself to take them through to the semi-finals. John Toshack’s Swans lost 2 nil at Second Division rivals Sheffield Wednesday, making it five defeats on the bounce as the Swans dropped to 8th place in the league table. Former Swansea City goalkeepers Rhys Wilmot (B: 1962) and Andrew Marsh (B: 1984), as well as current defender Federico Fernández (B: 1989), all celebrate their birthday on 21st February.